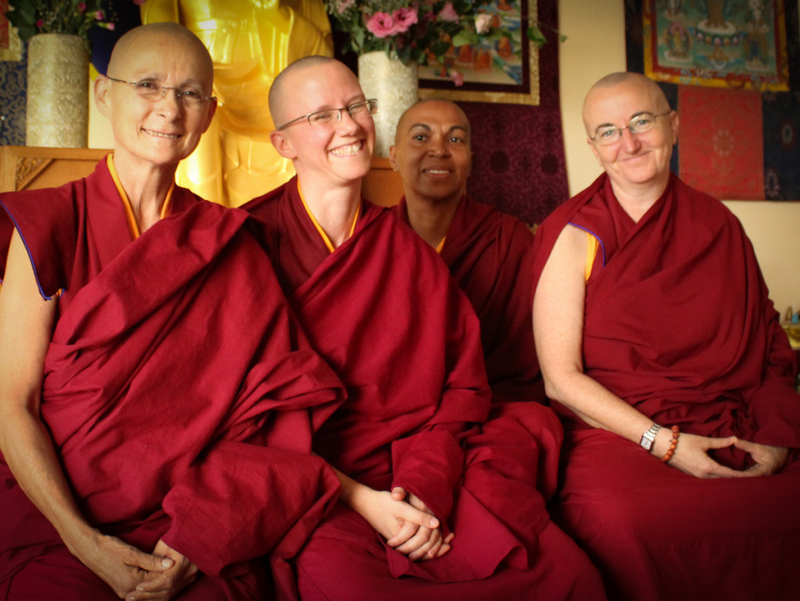 Dharmadatta Nuns’ Community was founded by and for Western women wishing to practice in community as Buddhist monastics. 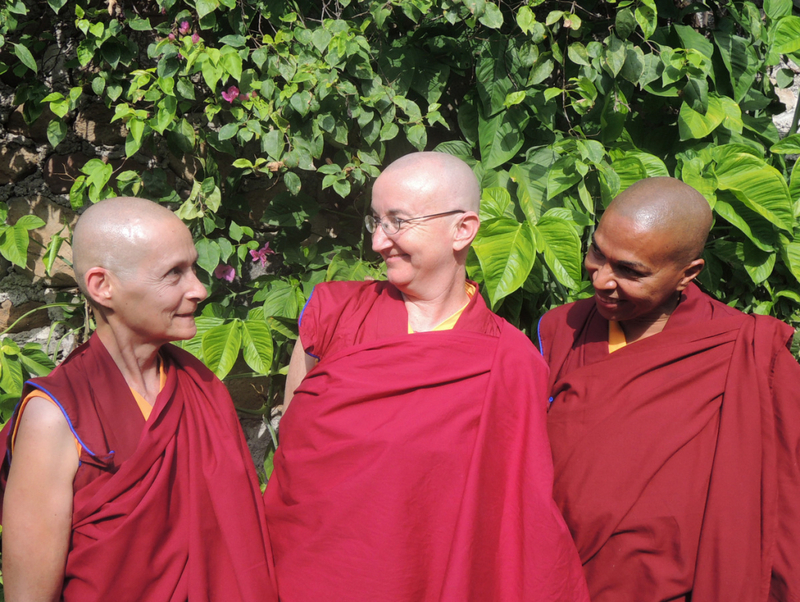 We are four nuns, from four different countries, and share a deep commitment to living together in community as an integral part of our personal practice and to serving others as the final aim of that practice. We aspire to develop a harmonious and joyful community where women can learn to serve as conditions for each other’s flourishing. In this phase of our development together, we are focusing on building a stable base from which our community can grow in future. Born in the German-speaking part of Switzerland, Dapel trained as a teacher, and worked for four years as an elementary schoolteacher. 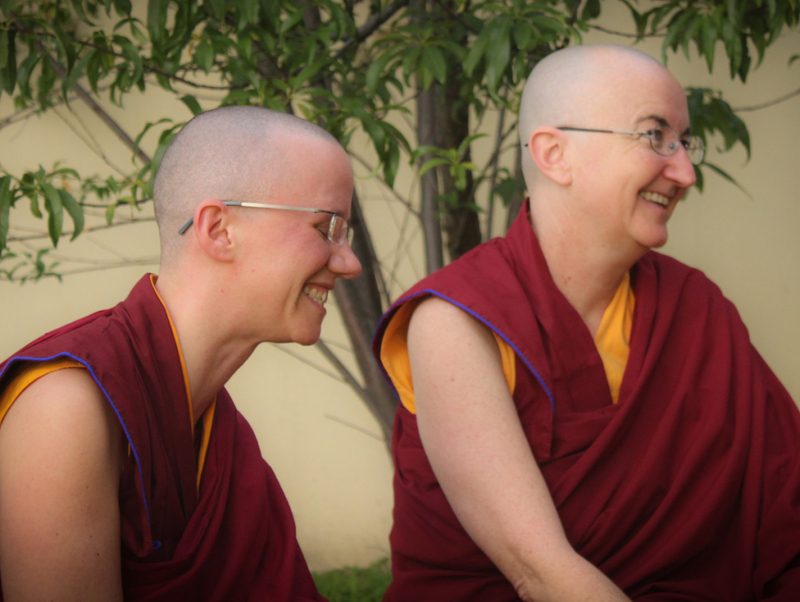 While still living in Europe, she was exposed to Buddhist meditation in the Theravada tradition and regularly participated in meditation retreats. 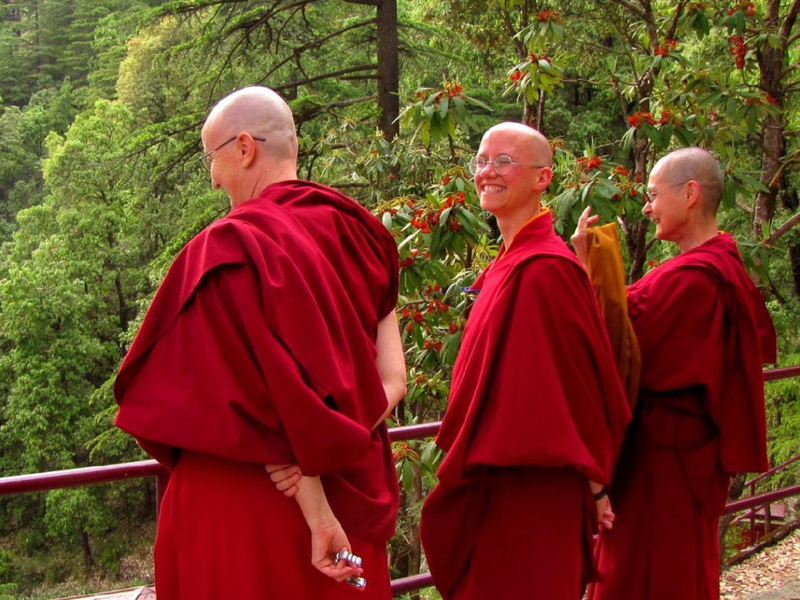 During extended travels in Asia, she attended the month-long lam rim retreat at Kopan Monastery with Lama Zopa Rinpoche, followed by the three-month Vajrasattva retreat there. Karma Lodrö was born in the Dominican Republic. She immigrated with her family to Puerto Rico at an early age. Lodrö earned a BA in Accounting and an MA in Business Management. She founded her own business, providing accounting services to diverse companies.